Brett's Surf Retreat #1064 is a reverse floor plan 2 story home with the upstairs level having a great living room with wood burning fireplace, TV/DVD and comfortable furnishings, plus a fully equipped kitchen and two dining tables. 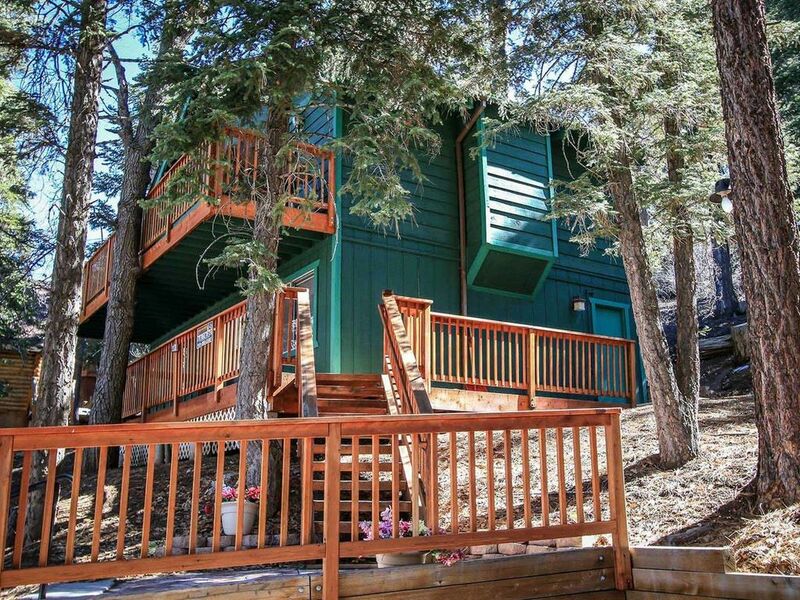 There is a wonderful back deck off of the dining area with a great winter sledding hill, outdoor furnishings, a charcoal BBQ, and treed view of the National Forest. Very cute house, great space outside for kids to play. Very nice neighborhood.